Silverware winners headline the US Open women's main draw wildcards while juniors dominate the qualifiers. Former champion Svetlana Kuznetsova and former finalist Victoria Azarenka headline the US Open wildcards. They will join teenage sensations Claire Liu, Amanda Anisimova, and Whitney Osuigwe. Asia Muhammad receives a wildcard after winning the US Open Wildcard Challenge. Kuznetsova won her first major in New York at 19-years-old, defeating Elena Dementieva. Azarenka was a finalist at the US Open in both 2012 and 13. 16-year-old Anisimova is the youngest player in the top-200 and claimed the biggest victory of her career earlier this year over Petra Kvitova in Indian Wells. 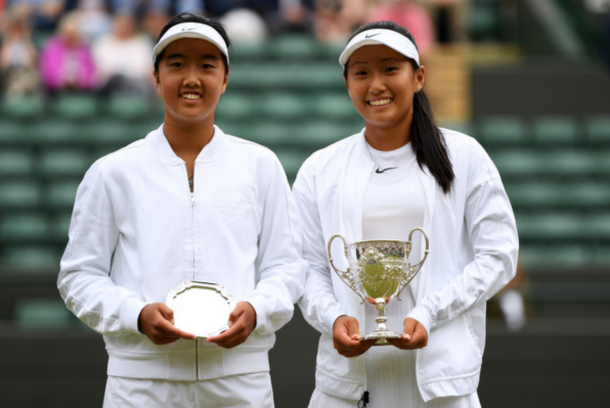 18-year-old Claire Liu was the Junior Wimbledon champion back in 2017 with Osuigwe winning USTA Billie Jean King Girls’ 18s National Championship. Frenchwoman Harmony Tan won her wildcard from the French Tennis Federation Wildcard Playoff. The winner of the Australian Wildcard Playoff will be announced at a later date. A number of successful/formerly successful juniors headline the qualifying wildcards which include CoCo Gauff, Caty McNally, Kayla Day, Ashley Kratzer, and Ann Li. Bethanie Mattek-Sands will return to Flushing Meadows for the first time since her major injury with a qualifying wildcard. Jessica Pegula and Gail Brodsky, who is a mother of two, round out the wildcards.